Taking in: Pushkar, India, 2016. I took this picture on my trip to India a little while back. 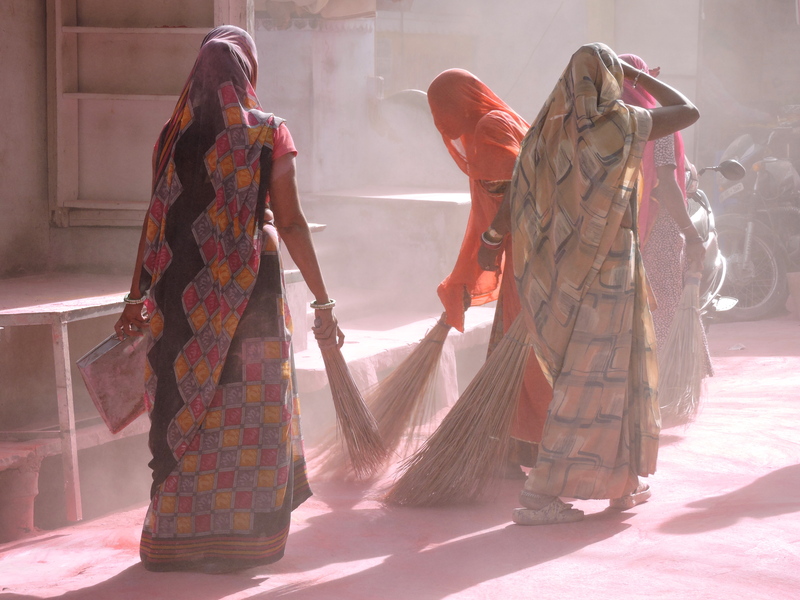 Holi celebrations had just occurred and these women were cleaning up the aftermath. I love how to powder being swept up looks like pink fog; it made the whole street look a little bit surreal.